West Ham United and Middlesbrough’s Under-12s will take part in the 2017 Premier League Christmas Truce Tournament but it was their work off the pitch that earned them their places in Ypres, Belgium, next month. Arsenal, Brighton & Hove Albion, Manchester City and Manchester United qualified for the Truce Tournament in the national qualifiers that took place this month at three Armed Forces bases: RAF Cosford, Aldershot Army Barracks and Portsmouth’s Naval Base. But the participating clubs also had the chance to make it to the annual event through an educational challenge: "Passchendaele at Home". In the challenge the U12 teams created a project about soldiers with links to their clubs who lost their lives in the Battle of Passchendaele, during the First World War 100 years ago, and raised awareness of these fallen heroes. West Ham’s boys organised a memorial service for two soldiers, Stratford’s Walter Ellis and Robert Pilgrim Evans, from Coggeshall in Essex. They also wrote letters and poems, produced an article for the West Ham matchday programme, and scripted and featured in a video that was shared on the club’s social media platforms. Middlesbrough’s U12s studied about Private HJ Duckworth, writing poetry and diary entries from his perspective and laying a wreath on his grave at Eston Cemetery. 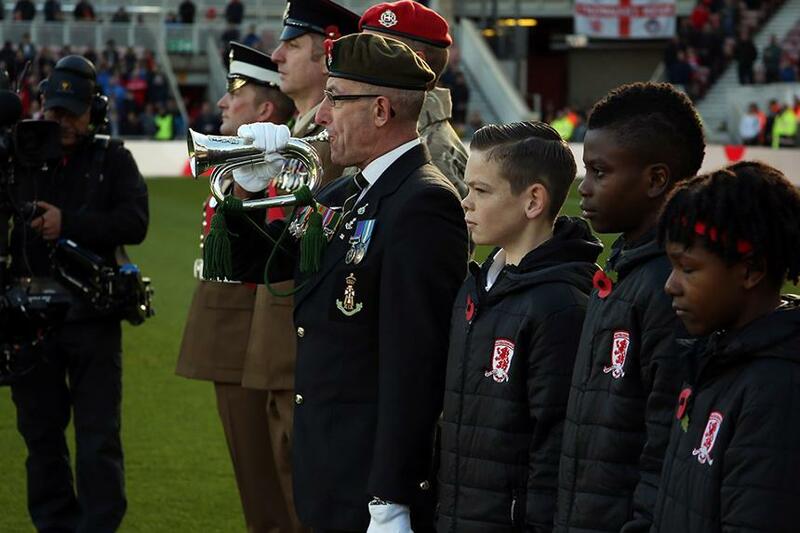 They also took part in the Remembrance tribute at Boro’s match against Sunderland and had an article in the matchday programme, which led to Eric Taylor, the great nephew of Duckworth, getting in touch and attending their presentation to first-team manager Garry Monk. Virginia Crompton, Chief Executive of Big Ideas Company, who ran the challenge, said the judges found it difficult to pick the two winning entries, but eventually settled on "two exemplary teams". “West Ham were brilliant champions of the club and community,” Crompton said. “They put their young people at the heart of their work and their video brilliantly conveyed the importance of local remembrance. In Ypres, the six English teams will face Paris Saint-Germain, Anderlecht, Club Brugge, Koln, Hertha Berlin, and Seattle Sounders. They each represent nations who fought on the fields of Belgium in the Great War. Seattle’s debut in the tournament marks the centenary of the United States’ involvement in the war. At the tournament the education off the field will continue as the participating U12s get to see in person the scenes of the battles at which their ancestors fought a century ago.